So, I had every intention of logging on and torturing updating everyone with the details of our weekend (since i know everyone is dying to hear about our ever eventful lives...). But, Lady and I needed to hit up Dollar Tree (keeping it trashy classy) for some empty spray bottles (random, right? these were dustin's request, making the errand even more random...). 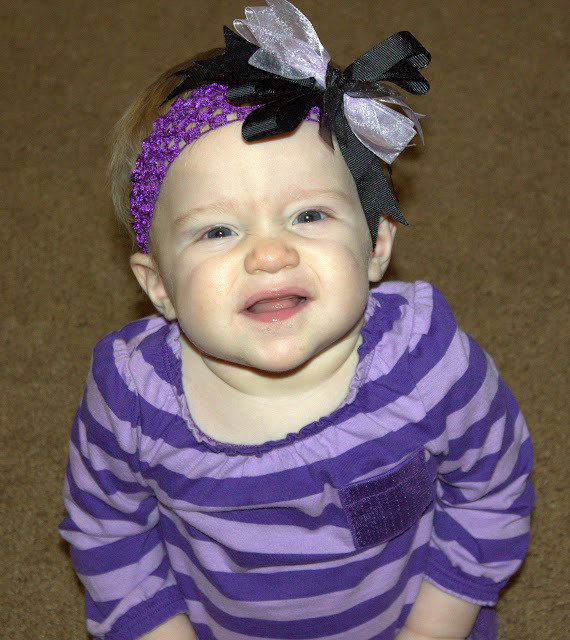 We were on our way out the door and she was gracing me with her scrunchy-nose-snort-slash-laugh-slash-hyperventilation and I decided to try and capture it on camera (as seen in the first picture. 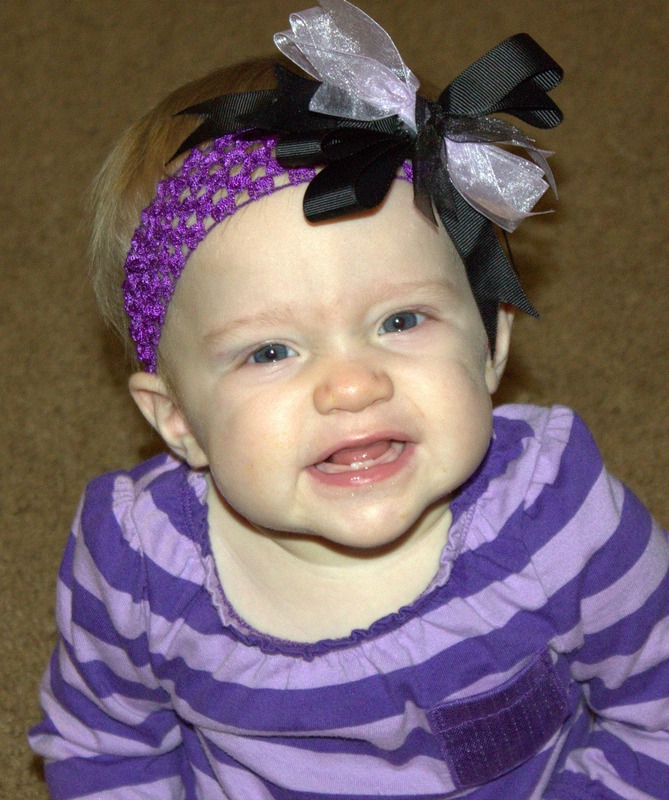 And then, all of a sudden, she was cheesin' it up for the camera! This never, ever, ever happens. Usually the camera comes out and she transforms into Stone Cold Steve Austin. So, I couldn't wait to share. Humor me, mmk? 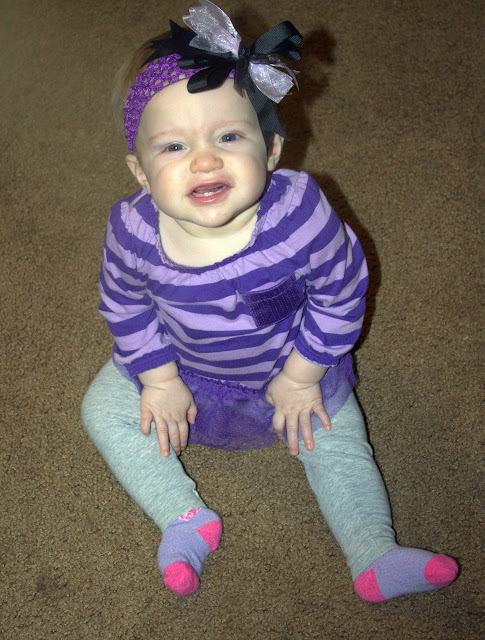 But, really, how adorably cheesy is our little munchkin? Those teeth. The forced grin. Uh-Oh, Dust, I think our little diva has decided she loves the camera. Here's to more girlish drama in near future. Dear world: how's the creation of the pause button coming along? We desperately need time stopped over here at the Ackerman house. Cute girl! I was looking at this with Sophie and she said: "she's got cute socks like me!" :) ha ha! alright then!